Northwestern University's Master of Engineering Management (MEM) Program celebrated its 40th Anniversary on Saturday, June 30, 2018 with a networking dinner and keynote speaker to recognize the students, alumni, and companies who value the importance of education at the intersection of engineering and business. 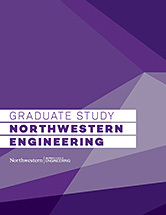 Northwestern University founded the first MEM Program 40 years ago when a visionary professor, Al Rubenstein, created a master’s program in the McCormick School of Engineering to supply future leaders for Chicago’s manufacturing companies. He believed that engineers, whom he saw as the most adept innovators and problem-solvers, should lead organizations but they would first need to supplement their engineering background with basic business knowledge and quantitative decision-making skills. Current students, alumni, and industry guests were invited to join the celebration and hear keynote speaker, Professor John Rogers, discuss his work on "Soft Electronics for the Human Body – Some Perspectives on the Science and the Commercial Opportunities". Professor John A. Rogers obtained BA and BS degrees in chemistry and in physics from the University of Texas, Austin, in 1989. From MIT, he received SM degrees in physics and in chemistry in 1992 and the Ph.D. degree in physical chemistry in 1995. From 1995 to 1997, Rogers was a Junior Fellow at Harvard University. He joined Bell Laboratories as a Member of Technical Staff in the Condensed Matter Physics Research Department in 1997 and served as Director of this department from the end of 2000 to 2002. He then spent thirteen years on the faculty at the University of Illinois, most recently as the Swanlund Chair Professor and Director of the Seitz Materials Research Laboratory. 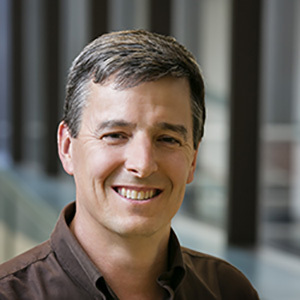 In 2016, he joined Northwestern University as the Simpson/Querrey Professor of Materials Science and Engineering, Biomedical Engineering and Medicine, with joint appointments in Mechanical Engineering, and Electrical and Computer Engineering. He is founding Director of the newly endowed Center for Bio-Integrated Electronics, and he is active in several startups, including Neurolux, Wearifi, Epicore Biosystems, XCeleprint, and others. His research has been recognized by many awards including a MacArthur Fellowship (2009), the Lemelson-MIT Prize (2011) and the Smithsonian Award for American Ingenuity in the Physical Sciences (2013). He is a member of the National Academy of Engineering, the National Academy of Sciences and the American Academy of Arts and Sciences.